The W.H.O. “My 5 Moments” provide healthcare workers with a framework, which specifies appropriate hand hygiene during everyday patient care activities. Source: World Health Organization. 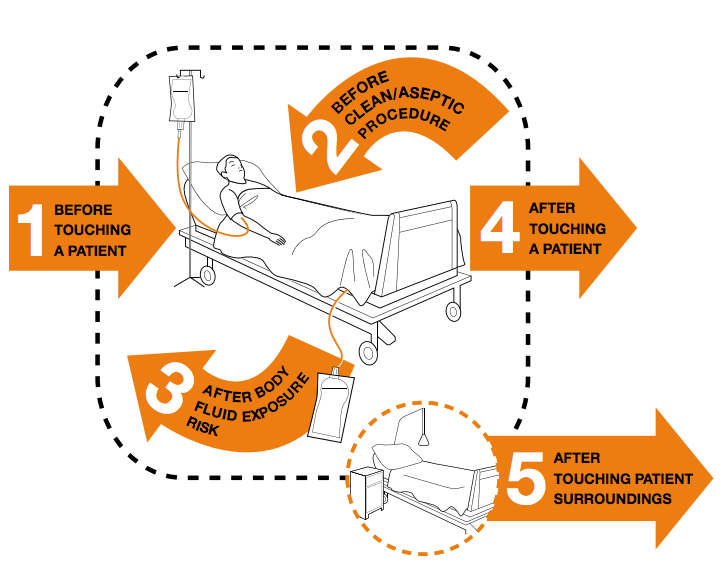 “First Global Patient Safety Challenge: Clean Care is Safer Care.” WHO Guidelines on Hand Hygiene in Health Care 2009. The HanGenix™ Compliance Assurance System provides healthcare workers with hand hygiene opportunities and the corresponding compliance data. It also serves as an automated reminder system to avoid non-compliance with a hand hygiene opportunity.